Finding “just the right gift” for a child with autism spectrum disorder (ASD) is not always a simple task. 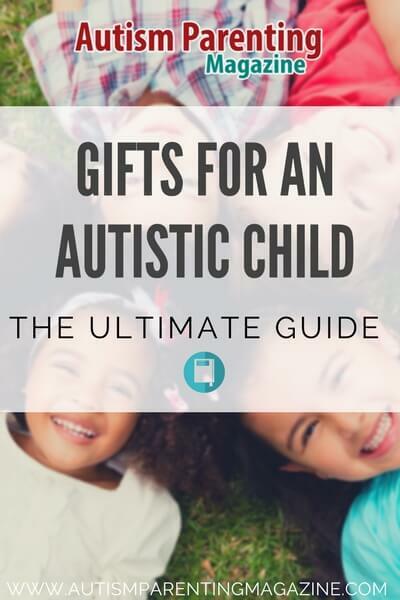 Due to the various sensitivities and needs that many children with autism may have, it’s important to carefully consider what kinds of gifts are a good fit. In an effort to help families and friends find something special for someone they love with autism, we have prepared an ultimate gift guide. But before going further, let’s first review what makes children with autism unique. 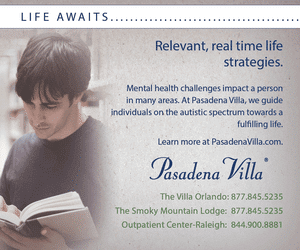 ASD is defined as a complex neurobehavioral condition. This may include challenges in social interaction, as well as in developmental language and communication skills, combined with rigid, repetitive behaviors. An ASD diagnosis covers a combination of symptoms, skills, and needs, which can be different for everyone. Oral – A child with this sensory need wants anything that provides a mouth feel, engaging in activities such as chewing, licking, and biting. To help redirect this need, you can buy products such as chewable necklaces and bracelets, or just use a clean washcloth or wristband. Olfactory – Children with this sensory need usually like to sniff and seek out new and attractive smells. A simple way to fulfill this need is to wash out dry, empty soap bottles and put in colorful pom-poms that have been soaked in vanilla essence or lavender. Puncture several holes in the bottle cap before closing the bottle tight so that the smell of the pom-poms can reach the child and calm him/her. Tactile or the sense of touch – Generally, children with tactile sensory needs like to touch or stroke various kinds of textures. In order to help fulfill this need, you can prepare a bag of items such as a first-aid crinkly blanket (space blanket), large seashells, smooth and cool stones, carpet square samples, feathers, and soft fleecy materials. Encourage the child to touch these different textures in order to calm him/her. Visual or the sense of light – Children who are visual seekers love to look at different colors and lights. There are various simple ways to calm children with visual sensibilities including water play, foamy soap, bath paints, bubbles, and empty bottles for pouring. You can also try tinted lenses glasses, sand timers, and light-up toys. Vestibular – Children who are vestibular seekers enjoy spinning and rocking as ways to balance their vestibular senses. To help calm a child with this sensory need, you can give him/her sit-on spinning toys. Gently swinging the child in a hammock-shaped sheet is also an effective calming strategy. Proprioception – Generally, children with proprioceptive seeking-tendencies love to stomp, tread heavily, and sit down hard to feel the impact. To help calm these children, you can provide crash mats and a trampoline for a safe proprioceptive feedback. You should determine the things that the child loves, while considering his/her age, cognitive level, and motor skills. Ask the parents about the sensory inputs that their child enjoys or avoids, as well as his/her special hobby or interest like building or engineering activities, drawing, animals, and train toys. Choose gifts like hands-on toys or toys that will provide the child real-life experiences. Buy gifts that can be used by the child during day care or school that will aid his/her coping/sensory needs. Here are some recommended sensory toys for children with ASD. 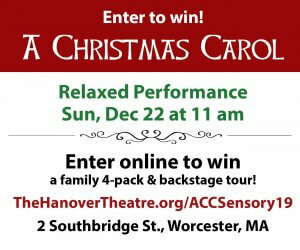 The gift ideas are grouped based on the specific sensory needs of a child. And what’s convenient is finding these kids toys online. 1. Knobby Super Chew by Chewy Tubes – This super chew product from Chewy Tubes is a delightful oral motor toy specifically designed to provide positive oral stimulation. The product comes with a closed loop handle that can easily be grasped by children. The bitable stem of the super chew has a knobby textured surface to ensure that the oral sensory needs of a child are satisfied. This toy can be purchased for $5.81 at Amazon.com. 2. 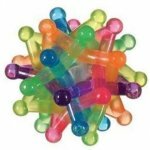 Multi-Textured Chew Stixx Oral Motor Chew by Chew Stixx – This toy is recommended as a safe and bacteria-free gift for children with autism who crave sensory input. 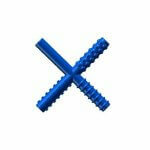 This oral motor chew comes with knobby, smooth, and textured surfaces so it can effectively soothe a child’s cravings. The use of this product, however, should always be under the supervision of an adult or a therapist. The product costs $7.49 at Amazon.com. 3. Nuk Toothbrush from Nuk – This gift idea is a wonderful tool for oral motor stimulation and desensitization. This toothbrush is a wonderful gift for children with autism because of its calming benefits. The toothbrush can be purchased at Amazon.com for $9.47. 4. 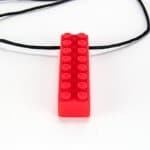 Chew Brick Sensory Chewing Necklace from Solace – This sensory necklace is said to be the perfect chew toy for children with ASD, particularly those with oral sensory needs. 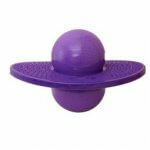 This toy improves focus and calm in the child. The product is manufactured from 100 percent pure silicone and is free from lead, polyvinyl chloride (PVC), phthalates, and other potentially toxic chemicals, so it is guaranteed to be nontoxic and safe for children. Solace offers a 100-percent satisfaction money-back guarantee for this product. This necklace can be purchased at a discounted price of $12.99 at Amazon.com. 5. 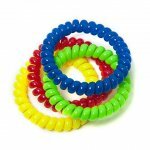 Chewable Jewelry Large Coil Bracelet from Chewzy Sensations – This autism bracelet is highly durable and very comfortable to wear due to its large coils. This product from Chewzy Sensations fits nicely to a child’s wrist, allowing the child to play or chew on it without any bulkiness. This bracelet also comes in four fun colors, so the child can choose a favorite color. The product is made of durable material that is specially designed for chewing and fidgeting so it can hold its shape significantly longer than others. This chewable bracelet is available at Amazon.com for a discounted price of $24.47. 1. 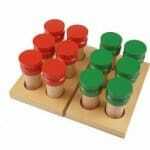 Montessori Scent Boxes/Smelling Bottles from Pink Montessori – This product features two wooden trays with six wooden cylinder boxes in each tray. These sensory items are intended to improve the olfactory senses of children, and calm children with olfactory sensory needs. The cylinder boxes have removable lids that facilitate the placement of different scents. This product is available at Amazon.com for $34.00. 2. 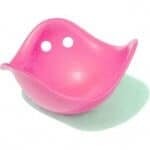 Lavender-scented Sleepy Slime Squeezing Stress Relief and Sleep Aid from UbiiSlime – This recommended special needs gift is ideal for children with olfactory sensory needs, as well as those who struggle with sleep and anxiety. The product’s lavender scent is effective in relieving tension and helping kids relax. Its deep purple and blue colors are also proven to calm both mind and nerves. Buy this product at Amazon.com for $18.99. 1. 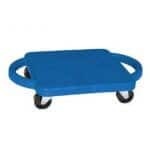 Plastic Scooter Board with Handles from Fun and Function LLC – This recommended gift for kids helps improve the balance and motor skills of children with ASD, particularly those with vestibular sensory needs, in a fun, movement-based environment. It is also effective in developing the strength of the upper and lower extremities of a child. This ride on toy can be used by a child while sitting, kneeling, or in a prone position. This product is made of durable and high-quality materials to ensure longevity of use and the safety of its users. The toy costs $17.99 at Amazon.com. 2. 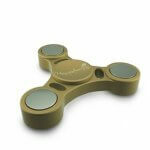 High Speed Fidget Spinner Toy from Momentum S – This fun toy from Momentum S is designed to eliminate anxiety and boredom. The toy’s ergonomic curved-shape design is intended to ensure hand comfort and long-term usage. The product also comes in several colors such as gold, purple, and blue, and is certified by the US Consumer Safety Commission as a safe toy for children. This product is priced $17.00 at Amazon.com. 3. Air-Lite Barrel Roll from Fun and Function – Made from flocked covered vinyl, this fun toy for children offers limitless activities and excitement for kids with vestibular sensory needs. The product, which is one of the recommended best toys for kids, also helps in improving a child’s balanced reactions, motor planning, and sensory integration. The toy’s soft and smooth texture makes users feel as if they are floating on the clouds. The barrel roll can be purchased at Amazon.com for $169.99. 4. Indoor Swing Combo Kit from Playaway Toy Co. – This indoor toy from Playaway Toy Co. can instantly transform your doorway into a playground. It can also be taken down in just seconds and moved to a desired location quickly. The indoor swing is recommended for rainy days when children cannot play outside. The kit includes a support bar, strap swing, and trapeze bar. This product costs $179.99 at Amazon.com. 5. 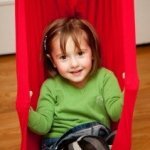 Therapy Sensory Swing for Outdoor and Indoor Use from DreamGYM – This product is recommended for children with autism and sensory processing disorder (SPD). It provides stimulation to a child’s vestibular system and gives him/her deep touch pressure. 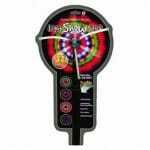 This product can be purchased at a discounted price of $79.97 at Amazon.com. 1. Spikey Soft Glove Visual Sensory Fidget Toy by Magical Land Store – Manufactured from super soft, stretchy, and nontoxic material that is fun to manipulate and touch, this proprioceptive sensory toy can provide great tactile fun to children with ASD. You can let the child use this spiky glove while he/she is writing for better proprioceptive input. The product costs $15.99 at Amazon.com. 2. 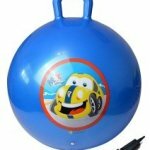 Space Hopper Ball with Free Pump, Kangaroo Bouncer, Hippity Hop, and Bouncing Toy from GreEco – These exciting and stimulating toys for children with autism encourage them to exercise and strengthen their bodies in an enjoyable way. The toy is recommended by educators, physical and occupational therapists, as well as other health professionals due to its effectiveness in improving a child’s proprioceptive input and vestibular orientation. Amazon.com sells this product for $10.99. 3. Bilibo Original Pink Toy from ActivePeople – Made from nontoxic, shock-resistant, durable, and high-density polyethylene material, this activity toy encourages children on the spectrum to create their own games, to play, and to enjoy in an active and creative way. Designed in Switzerland and the winner of countless awards, this cool toy for kids can be used indoors and outdoors, in the water, in the sand-pit, and even in the snow. Buy this product on Amazon.com for only $29.99. 4. Hopper Ball Jumping Hopping Hippity Hop Ball from Bintiva – This hopping toy promotes active play and exercise among children with spectrum disorder by encouraging activities like jumping. It also helps children learn how to balance themselves. The toy provides proprioceptive input and orients the vestibular system. The hopper ball has a textured non-slip handle to ensure maximum stability. The product costs $13.99 at Amazon.com. 1. 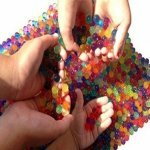 Crystal Water Gel Beads from Sooper Beads – This best-selling toy on Amazon.com is a recommended gift for special needs children with tactile sensory condition. The beads encourage play in children due to their enticing looks and colorful appearance. The product helps improve the processing skills and fine motor development of children on the spectrum. These fun toys for kids can also be used a thousand ways including as decorations, vase fillers, and wedding centerpieces. It can be purchased at a very affordable price of $4.99. 2. Tactile Toy Assortment Bundle from Curious Minds Busy Bags – This product package contains five sensory tactile toys with a variety of textures. These sensory processing toys are the mesh bubble ball, the colorful Clinging Orb plastic balls, the Playfoam nontoxic modeling compound, the Hair Ball puffer ball, and the Stretchy String super long coiled string. This toy package can be bought at Amazon.com for $26.99. 3. 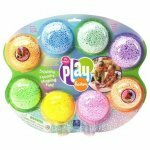 Playfoam Combo 8-Pack toys from Educational Insights – This non-stick product contains sensory therapy toys that can be squished, squashed, rolled, and sculpted by children with tactile sensory needs to create various shapes and figures. This toy bundle helps promote tactile exploration, develop visual artistic ability, and encourage creative play. Get this product on Amazon.com for only $7.04. 4. Easy-grip Soft Foam Sensory Puzzle Blocks from Edushape – These soft and colorful blocks help children with autism satisfy their sensory and visual cravings. 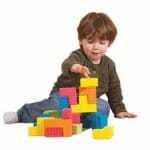 This building toy also helps in the development of a child’s spatial, logic, and reasoning skills. These recommended 18-piece small toys for kids are available on Amazon.com at a discounted price of $19.99. 1. 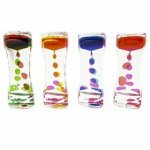 Liquid Motion Bubbler for Sensory Play from Super Z Outlet – This suggested sensory stimulation toy features descending colored bubbles that will surely soothe and calm children with visual sensory needs. This visually-stimulating toy offers endless hours of calming entertainment as it never runs out of energy. When the bubbles stop, just flip the toy over and they start again. You can buy this toy for $5.99 at Amazon.com. 2. Light Show Stick Visual Toy by From Heart To Heart – This battery-operated toy is a good stress reliever for children with visual sensory needs. This recommended sensory lights toy features multicolored lights that are sure to calm its users. 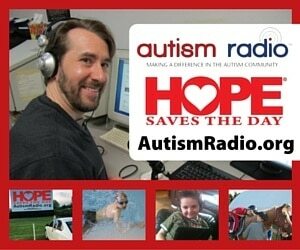 This great gift for autistic kids can be bought at Amazon.com for $19.99. 3. SHARK Water Wiggle Shake Visual Sensory Fidget Toy by Magical Land Store – This toy features a container filled with cool blue liquid, beads, glitter, and a little shark swimming inside. The product’s colorful composition and the movements of the shark serve as effective stress relievers for children with visual sensory needs. This sensory tool for autism costs $17.92 at Amazon.com. 4. Aasha’s Sphere Ball Flashing Bouncy Ball by Leopolis – This recommended toy for visual sensory-seeking kids features colorful stars that are interwoven around a light up hi-bounce ball. When the sphere ball is bounced, it will activate a multicolored light show that will surely stimulate the visual senses of children with autism. This recommend gift for special needs kids is available at Amazon.com for $17.97. 5. 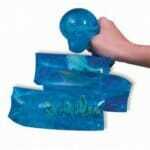 Squee-Z-Bubbles Stress Relief Fidget Toy by Leopolis – This squeeze-and-release water toy produces bubbles that float into the air to provide visual stimulation and calm children with visual sensory needs. 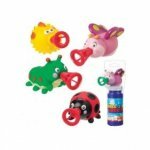 The assorted bubble makers include a blowfish, a ladybug, a butterfly, and a caterpillar. This toy also helps improve a child’s finger strength and visual tracking skills. This recommended special gift for autistic kids costs $14.80 at Amazon.com. 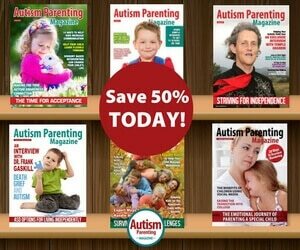 Be sure to remember when searching for a present, children with autism have very specific needs. Once you define these needs, as well as a child’s likes and dislikes, finding just the right gift for someone you love can be trouble-free. This is a fantastic list of toy ideas for the kids with special needs. I’m going to post this on my special needs website! Thank you! Amazing Post on Gifts for Kids with Special needs. All this Toys are Useful. Also they will helps to develop our kids mental growth and make playtime a learning experience.